Savannah Car Accident Attorney - $$ Millions in Compensation Won! Why Use Butler Wooten & Peak, LLP for your Motor Vehicle Accident Case in Georgia? We have proven results in successfully representing clients in car accident claims, with multiple settlements over $100 million – including the largest collected judgment in the U.S.
We have more than 30 years experience as a firm, representing clients in more than 30 states across the country. We have a selective caseload so that we can devote our full attention to each and every case we decide to take. Additionally, other attorneys refer about 50% of our cases because we have a reputation for success in Georgia liability claims. How Do We Handle Car Accident Cases? Butler Wooten & Peak, LLP has years of experience handling a variety of auto accident claims throughout Georgia. We accept car, truck, motorcycle, bus, bicycle, and pedestrian accident cases. Our lawyers have achieved positive outcomes for cases involving the most serious personal injuries, including severe disabilities and permanent disfigurement. We handle car accident cases with a focus on you, the client. First, we arrange a free consultation between the potential client and one of our attorneys. During this consultation, the client can tell us his or her story, ask questions, and receive honest answers. The consultation serves to introduce the two parties to one another, give the lawyer pertinent details about the car accident, and plan the next step, if applicable. If we offer our representation, we may then take over the case at its current stage. We can intervene in a case that has yet to begin or one that has gone through failed settlement negotiations and is on its way to trial. We will investigate the Savannah car accident, gathering any available evidence and collecting police reports and medical records. We can interview eyewitnesses, consult with experts for their opinions, and collect evidence such as the other driver’s cell phone records. We will then begin to build your case, while taking over communications with insurance companies. We can aggressively negotiate a fair settlement from an insurance company or take your car accident case to trial in pursuit of maximum compensation. We work hard to achieve each client’s desired result. What Damages Are Available in a Car Accident Claim? Medical expenses. Car accidents can cost victims and their families thousands of dollars in immediate and long-term medical expenses. Hospital stays, doctor’s appointments, expensive treatments, prescriptions, medical equipment, live-in care, and home/vehicle disability modifications are all examples of potential crash-related medical costs a victim could recover with a personal injury claim. Past and future pain and suffering. The Georgia courts permit victims to seek recovery for non-economic damages in addition to out-of-pocket expenses after a serious car accident. These damages can include physical pain and suffering, emotional distress, mental anguish, lost quality of life, loss of consortium, and future pain and suffering that may occur due to a long-term disability. Lost wages. Most crash victims must take time off work (paid or unpaid) for treatments, rehabilitation, and recovery. Those with permanent disabilities may never be able to return to their same careers or pay scales. Victims may qualify for lost wage recovery for past missed work, as well as lost earning capacity compensation for future income or work opportunity losses. Property damage. If a car accident causes expensive vehicle or other property damage, the victim can retrieve a quote for repairs from a mechanic and list this price in his/her claim. If the mechanic says the vehicle is a total loss, the victim may qualify for compensation in the full value amount of the vehicle prior to the collision. Punitive damages. Some car accident claims result in additional punitive damages, if the judge believes they are appropriate for the circumstances. Punitive damages give victims further recovery if a judge believes compensatory damages do not fully cover the victims’ losses. They may also serve to punish a defendant for gross negligence or recklessness, such as driving under the influence of drugs or alcohol. Butler Wooten & Peak, LLP can help you estimate the potential value of a Savannah car accident claim during a free case evaluation. Our past case results over the last 30 years have included multimillion-dollar settlements and verdicts for car accident victims and their families. We have the tenacity to fight for full compensation after a violent car accident. We are passionate about protecting victims’ rights and seeking fair financial recovery from negligent defendants. Who Is Liable in a Car Wreck? Like many other states, Georgia follows a traditional fault model when it comes to insurance claims. This means an insurance company will investigate an accident, determine who is responsible, and pay for the other driver’s damages, including medical bills, lost wages, and damage to property. The driver owed the injured party a duty of care. When operating a legal vehicle on Georgia’s roadways, this duty of care to others applies to all drivers. The driver violated his or her duty of care by committing negligence. In a car accident case, negligence generally occurs from breaking a traffic rule, such as speeding or running a red light. The driver’s negligence was the proximal cause of a person’s injuries. The injured party suffered harm as a result, such as medical bills or lost wages. What are the Top Causes of Car Collisions in Savannah? Distracted driving. The Centers for Disease Control and Prevention reports nine people die each day in the United States due to distracted driving, and another 1,000 incur injury. Distracted driving includes things like cell phone use, as well as eating and drinking, having conversations with friends, or even changing a radio station. Operating under the influence. Though Georgia is one of the strictest states regarding DUI and has lower death rates than the national average, it’s still one of the leading causes of accidents throughout the state. Speeding. It should come as no surprise that speeding often plays a role in Georgia car accidents because of the natural dangers it poses. Where are the deadliest intersections in Savannah? What Should I Do After a Car Accident in Savannah? Stay calm after a car accident in Savannah, and call 911 to notify police about the wreck if it caused injuries, deaths, or at least $500 in property damage. Remain at the scene of the crash, moving to a safe location, until police arrive. While you wait, collect information from the other driver, such as his/her name, contact number, insurance information, and license plate numbers. Take photographs of the accident and of any property damage or personal injuries. When police arrive, do not admit fault. Give your side of what happened to the officer, sticking to the facts of what you know. Visit a hospital immediately for any injuries. You could have broken bones, lacerations, burns, neck or back injuries, or a head injury. Do not delay medical care. Once you have received medical treatment, call the at-fault driver’s insurance company to file an accident claim. Then, call a car accident lawyer before accepting an insurance settlement. A lawyer can improve your odds of securing full compensation. Contact us as soon as you can after a car accident in Savannah. We can take over your case while you focus on healing. We can negotiate your claim with insurance providers, protect you from lowball settlement offers, and present your case in front of a judge or jury if necessary. Hiring an attorney can give you peace of mind during your car accident case. How Many Motor Vehicle Fatalities Happen Each Year in Chatham County? What’s the Trend of Total Vehicle Crashes & Injuries Since 2013? Looking at the most recent data from the Georgia Governor’s Office of Highway Safety above, the total number of accidents and injuries has increased each year since 2013. However, the total fatality numbers have fluctuated. The number of deaths in 2016 decreased by 11 fatalities, and it is one death less than the stats from 2013. We hope that these death tolls continue to drop as the state of Georgia works to improve the road conditions and overall safety on the frequented roads and interstates. You have limited time to file a car accident personal injury claim in Georgia. You or your lawyer must bring the claim within two years from the date of the car accident, or two years from the date of a loved one’s death in a wrongful death claim. Missing this deadline generally means losing the right to seek damages through the civil system. Georgia is a fault-based insurance state, meaning your claim will go to the insurance company of the at-fault driver. You or your lawyer will need to determine fault for the collision before you can file your insurance claim. Police investigations, eyewitness interviews, and various forms of evidence could help you prove someone else’s fault for the crash. Georgia’s comparative fault laws mean the courts can split liability for a car accident among two or more parties – including the plaintiff. Georgia is a modified comparative negligence state. This means the courts must find you less than 50% responsible for the car accident, or else you will not qualify for any financial recovery. More than one party could owe you compensation for your damages. Hiring a lawyer in Savannah can remove the burden of legal processes from your shoulders. Your attorney can navigate state and local car accident laws and insurance claim negotiations while you focus on recovering from your injuries. The lawyers at Butler Wooten & Peak LLP have successfully litigated hundreds of car accident claims in Georgia and recovered millions of dollars for clients. Why do you need an Accident Attorney in Savannah? Insurance law is notoriously complex, and claims adjusters know this. In fact, insurance companies often use a variety of techniques to avoid paying out a fair claim, using a plaintiff’s lack of knowledge to justify a low ball settlement. 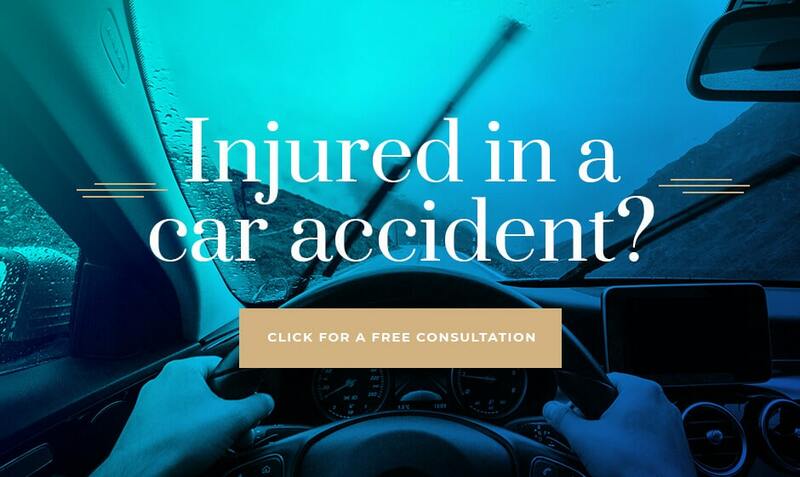 As personal injury attorneys with years of experience, we not only know the tactics insurance companies use to confuse claimants – we know exactly what a car accident claim is worth and will demand fair and full compensation for your injuries.